Window shutters are of the oldest types of window coverings, allowing the regulation of light as well as providing additional protection from external influences. Thanks to their robustness, they provide better protection from burglars. Window shutters definitely belong among those window coverings that no one wants to hide when not in use for shading, because they add aesthetic value even when they are open. PVC Nagode offers quality aluminium window shutters. They are available in various wood decors as well as in RAL colors. Window shutters may also be adjusted to customers’ needs. Window shutters made of aluminium are the most durable and resistant shutters. They protect windows from adverse exterior influences, thus considerably prolonging the lifespan of windows. 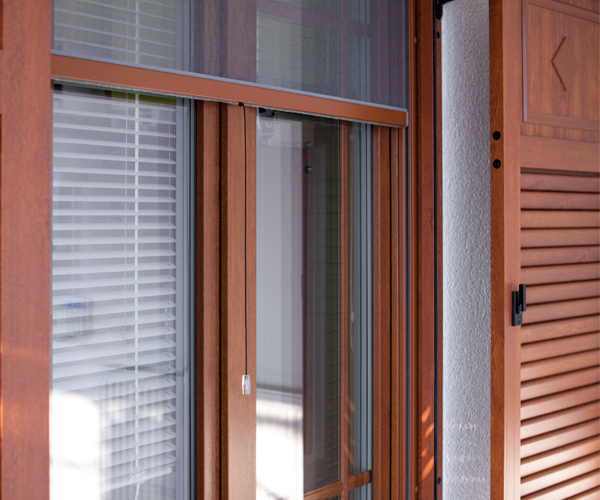 Shutters with adjustable slats allow better regulation of light passing through the window.